With over 20 years experience in Real Estate and running a successful business in Berwick for over 9 years, Brad is a leader of people in his field. Heading a superb team of like minded Real Estate professionals, Harcourts Berwick is renowned as being a supremely professional unit, with the entire office acting as one team. Working consistently in line with the Harcourts International values of , people first , doing the right thing, being courageous and fun and laughter, allow us to help you achieve whatever your real estate goals may be. I love living in Berwick, and know it is a wonderful place to bring up a family. With some of the best educational facilities and health care, it is a thriving, growing area that will see many smart investors reaping the rewards. I have enjoyed a successful career spanning over 15 years in Property Management, largely in Berwick. During this time I have developed a wealth of knowledge, know how, and experience in administration and property management. I continually set myself high goals and push until they are achieved. Being the senior property manager and also owing my own investment properties with my husband, all means I can see most sides of the one story, and this is key in managing your property in a professional manner. I aim to, and do, provide excellent service and consistent communication. My experience and knowledge of the act and the industry, allows me to provide impartial, considered, accurate and up to date advice. I ensure you maximize the return on your investment with a minimum of stress. I love real estate because it is varied, interesting and challenging. From tenant selection, lease execution, inspections and maintenance I assure you things are managed to exacting detail. Hannah is a people person who is known for her integrity, honesty and most certainly her service with a smile. Working alongside Matt Doyle they form a great team that exceed their client’s expectations. Hannah is totally committed to ensuring an exceptional customer experience for all her clients. She draws huge satisfaction from being involved in some of the happiest and most exciting life-moments with her clients. Her aim is to build relationships that last a lifetime. Hannah’s positive personality and upbeat outlook makes her perfect to represent her clients and their homes. Outside of working in real estate Hannah loves spending time with her family and friends, as it’s integral to the way she lives her life, as well as also enjoying wining, dining and travelling. Jack Keen is an eager Sales Consultant whom has grown up in the local Casey area and is working alongside Sales Manager, Debbie Brettoner Hardworking, approachable and a good listener, Jack is focused on what is required to make the buying and selling process smooth for their clients. Matching buyers to the right property, he maximises the prospects of success for both buyers and sellers. Coming from the banking industry, experience in sales and customer relations he has a keen interest in property, Real Estate is more than just a job, it’s his passion. Highly motivated and team focused, Jack prides himself on, going the extra mile for his clients and gains enormous satisfaction when they achieve or exceed their desired real estate objective. Away from work, Jack enjoys time with family and friends, catching up on the latest movies and eating out. Katrina is passionate about Real Estate, first starting in the industry 15 years ago, provides her with the knowledge and experience to confidently interact with clients. The power to connect with her clients, understand their needs and provide objective solutions are the qualities Katrina is known for. Katrina’s warm and approachable nature is reflected in her trusted interactions with clients. She is able to appraise their properties with grounded knowledge of the current market, provide guidance for marketing, give constant feedback during sales campaigns, and achieve desired outcomes. Her intimate knowledge of the Beaconsfield / Berwick property market comes from living in the area for over 15 years with her family whilst heavily community focused. 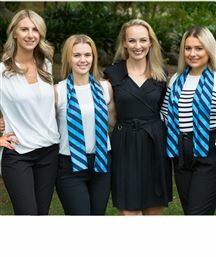 Still residing in Beaconsfield and being a big part of local sporting clubs and events, along with her love for the area makes her ideal for marketing your home. Matt, is a local, driven and professional agent, which is a breath of fresh air when engaging an agent to represent you and your home in the south east market place. You may recognise his smiling face from Shanikas Berwick where he was a former business owner and ran the front of house. Whether negotiating a sale, talking with clients, Matt’s exceptionally strong work ethic and negotiation skills combined with the support of the Harcourts Berwick team ensures each and every client is provided with the highest possible level of service. Matt’s passion for the industry and service background, guarantees his clients an outstanding real estate experience. Possessing in-depth local knowledge and a keen eye for detail, Paris works in the high performance team consisting Debbie Brettoner and Jack Keen. Driven by an enthusiasm for real estate and a passion for helping people Paris offers exceptional guidance to all of her clients. As a result of her current position Paris’ ability to handle pressure, sensitive situations and staying organised has developed wonderfully. Friendly, approachable and always available to ensure that their client’s needs are met, Paris prides herself on going that extra mile to ensure an excellent real estate experience. Outside of the real estate world Paris enjoys a genuine passion for music, art and literature, as well as spending time with her friends. Emily joined Harcourts Property Management team in 2013 after working in administration for Harcourts Berwick. Emily’s exceptional organisational skills, ability to multi task and work under the most stringent time restraints ensure that her clients receive the very highest level of service. Including resolving the many challenges she faces each day in an amicable manner for all parties, which she also finds so satisfying about her job. 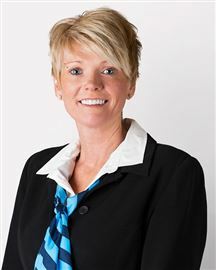 As a Property Manager she understands the need for swift action, honest communication and above all excellent service. Her overall aim is to achieve the shortest possible vacancy times and the highest investment returns. Born and raised in Berwick, Emily has a wealth of local knowledge and appreciation for the area and its attractions. She understands the importance of hard work and determination in setting and achieving goals. This was something Emily learnt at a young age when she was State Champion in Calisthenics. When not assisting clients, Emily likes spending time with family and friends, walking her dog Ayla and loves a beach weekend. 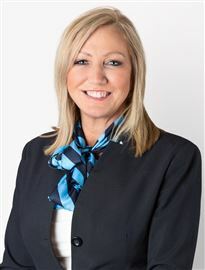 Hi, I’m Daniela, I joined the team at Harcourts Berwick in May 2006 when the doors were first opened. It seems like we have been part of the Berwick landscape for much longer as we have had a distinctly noticeable impact on Berwick real estate. Living locally, I enjoy talking to customers and I am happy to help with any questions or queries you may have about the local area. I have a bright personality and amicable manner combined with my commitment to provide the very best service for our clients. I am continuously learning and improving my skills. In 2015, I was awarded Harcourts Victoria, Administrator of the year, a compete honour to be recognised by our State team. In my spare time, I love going to the movies, exercising and socialising with friends and like most girls, shopping. Neat as a Pin in The Chase! Nest or Invest on 700m2! 3 Years Young - Just Move In! Live in the Centre of Berwick! Private Retreat on 5.8 Acres! Unique Living - Enquire Now! Immaculate - 1.5 Years Young! A Family Must in Bellbird! Family Living, At Its Finest! Quality 5BR near the lake. Family Luxury on the Park.